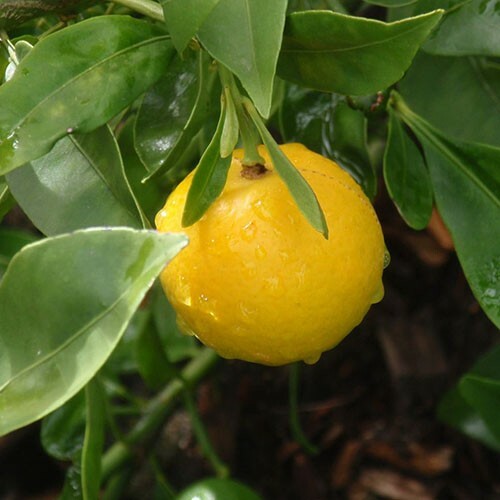 The Lemonquat Tree is a hybrid of the lemon and the kumquat. It has a pearlike shape and a smooth rind. A cross-section reveals a daisylike pattern. 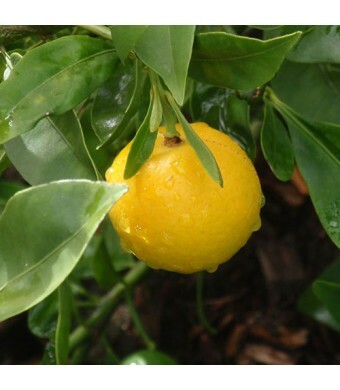 The fruit has eight segments of orange-yellow flesh with many seeds and some juice. The Lemonquat is cold hardy in USDA Growing Zones 9-11. It can be kept as a container plant in all other growing zones if it is brought indoors for the winter.